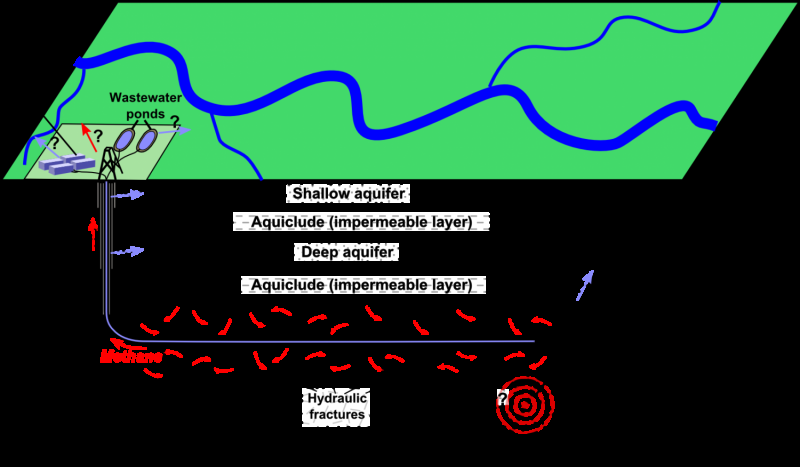 Both wastewater disposal and fracking have induced earthquakes in the south Sichuan basin, say Xinglin Lei of the Geological Survey of Japan and colleagues. In their new study in SRL, the researchers present "a full chain of evidence" to show that the December and January earthquakes were induced by fracking operations. Lei and colleagues' modeling of seismic activity show that most of the activity came from the initial mainshocks, with little aftershock activity, which is also consistent with the pattern seen for induced earthquakes. Finally, their calculations show that overpressure on the rock pores, produced by the fracking injections, was strong enough to activate preexisting faults in the region. These faults were mostly unmapped and not in a favorable orientation to slip under normal tectonic activity, the researchers note. "For most well pads, the associated seismicity fades out quickly after the hydraulic fracture ended or halted," said Lei, although he noted that their analysis did raise the possibility of seeing signs of fault reactivation from previous seismicity. "In my opinion, repeated moderate earthquakes can be caused as long as the injection is continuing, since a moderate earthquake releases very limited strain," he added. "The national regulations in China should be updated with the requirement for operators to take action if some signs of fault reactivation were observed." The researchers say more information is needed about faults and their stress patterns in areas of the Sichuan basin surrounding fracking well pads, to guide drilling in a way that would avoid moderate seismic activity. "Moderate earthquakes were observed in a limited number of sites," said Lei. "If these sites could be screened out, the risk of moderate earthquakes would be greatly reduced." So what? For the price of a few minor earthquakes, the U.S. became, in five years, the largest oil producer on Earth. Fracking isn't going away, despite a few jurisdictions (who see nothing wrong with using the products of fracking themselves) banning the process. So what ?? What an inconsiderate selfish greedy little twerp. Your attitude destroys the Earth you Moron ! Precisely why Big Filthy Oil needs to be Razed to the ground ! ! Go ride an electric bus, packed like sardines with your kind of unwashed.